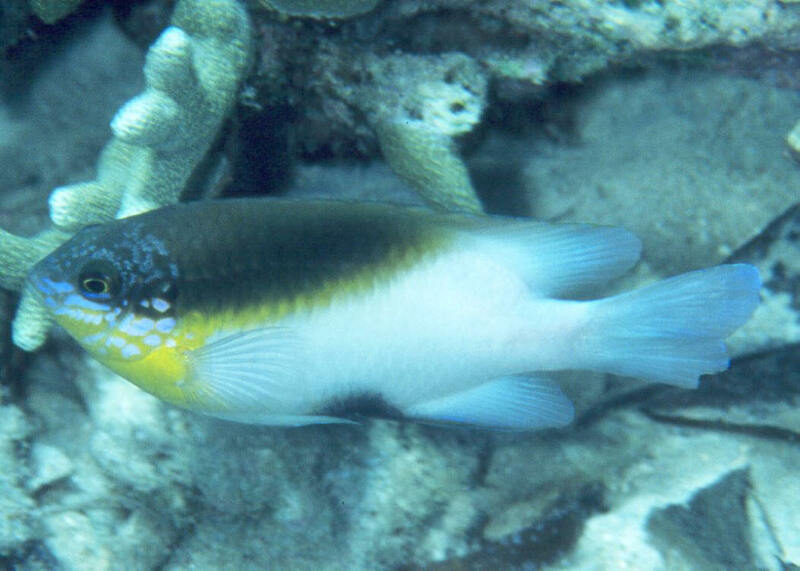 Dischistodus melanotus (Bleeker 1858), the Black-Vent Damsel. 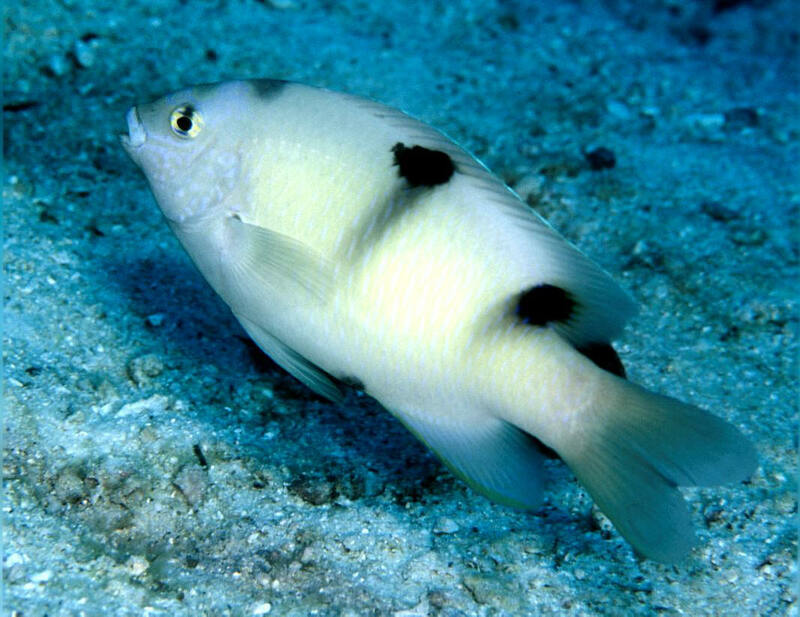 Western Pacific distribution (A juvenile in Raja Ampat, Indonesia). To five inches overall length. 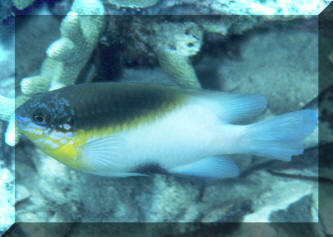 Dischistodus melanotus (Bleeker 1858), the Black-Vent Damsel. Western Pacific distribution (An adult in Bunaken, N. Sulawesi, Indonesia). To five inches overall length. Dischistodus perspicillatus (Cuvier 1830), the White Damsel. Indo-West Pacific. To six inches in length. This one off of Pulau Redang, Malaysia. Dischistodus perspicillatus (Cuvier 1830), the White Damsel. Indo-West Pacific. To six inches in length. This one off of Raja Ampat, Indo.